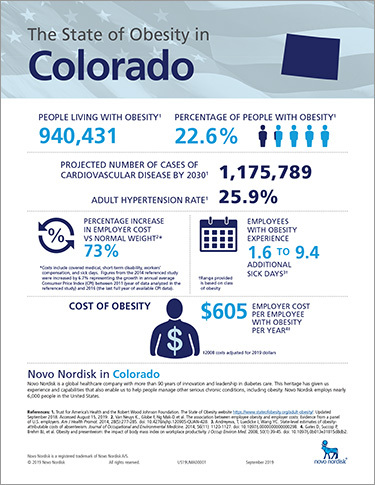 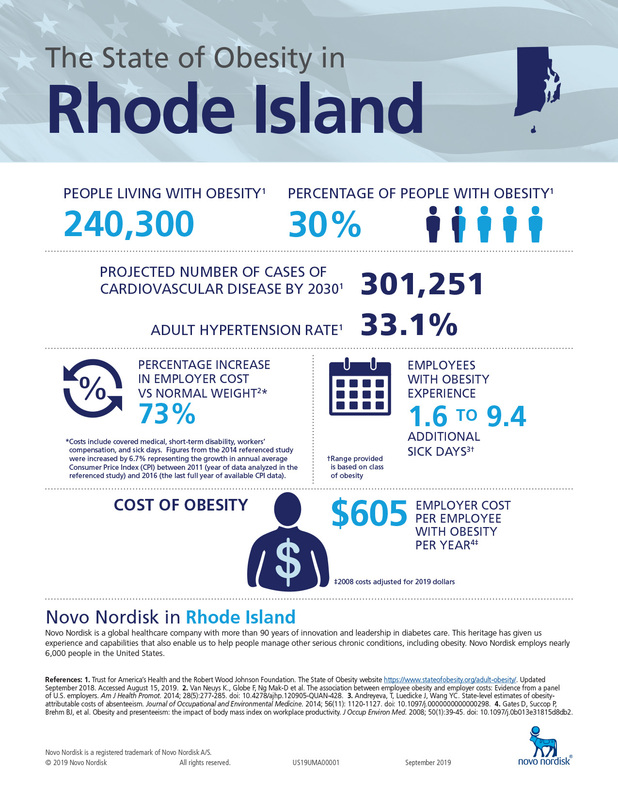 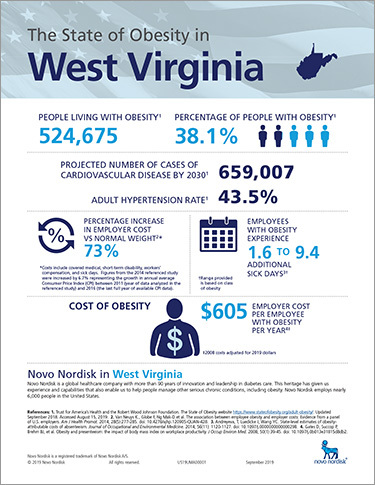 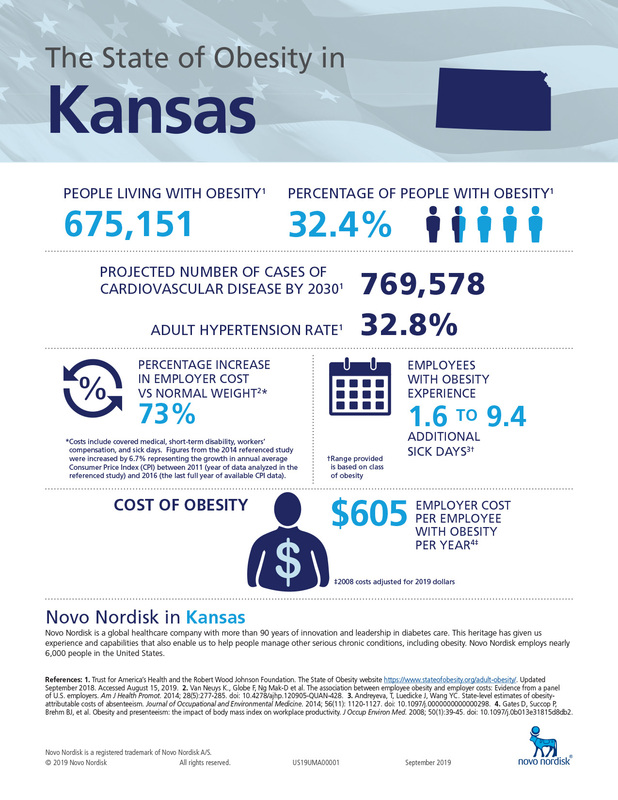 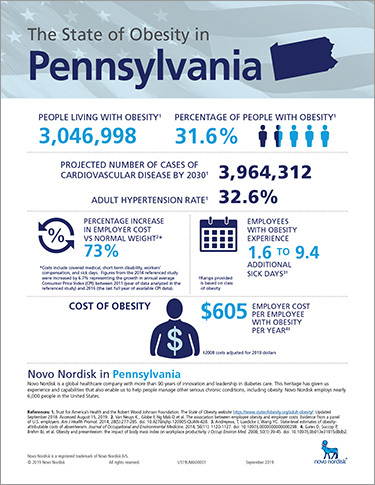 Obesity is a nationwide epidemic that continues to grow. Find out more about your state by downloading the fact sheet below. 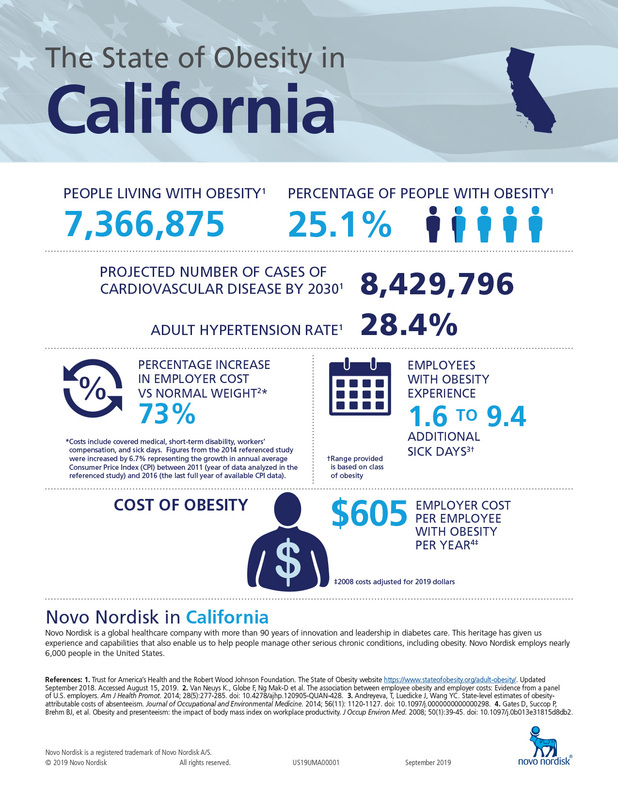 Novo Nordisk WORKS™ is a trademark of Novo Nordisk A/S.